I was waiting for this!!! NICE Google. Why does it always take days for updates to propogate to me? Interesting. Usually Google take a pay service and makes it free. Here, Google took a free service and made it a pay service. No, they didn't. Google Music has always been free, and still is.. Google Music All Access has always been pay. Unless you mean Songza, which is still free. He's talking about the activity based stations where you now have to be a subscriber whereas with Songza you didn't. Now you could still use Songza I think (if youd had previously downloaded it), but Im sure it won't be long before it's completely removed. I'm sure he wanted an all in one solution. Hi David. How r u? Why is this limited to U.S. and Canada? Can we expect this feature in other countries soon? Same question here. They have All Access in many other countries, so why not make these playlists available there too? Yes, it's not working in Czech Republic (Galaxy Nexus, Nexus 10, web) + the article says "subscribers in the U.S. and Canada". Well played Google. Well played. Okay Google, please don't kill Songzaa.. We're enjoying it the way it is over here on iOS; besides the addition of new ads. We know the way of every other app you've acquired, please leave this one alone. That is all. Thank you. When will this feature be available in UK? Thanks. Any word on when Google Music All Access is available on Droid in Canada? It was "next time I opened the app" after reboots and I did not see the new features. Ended up sideloading. Android needs to release updates to everyone at once wherever possible! 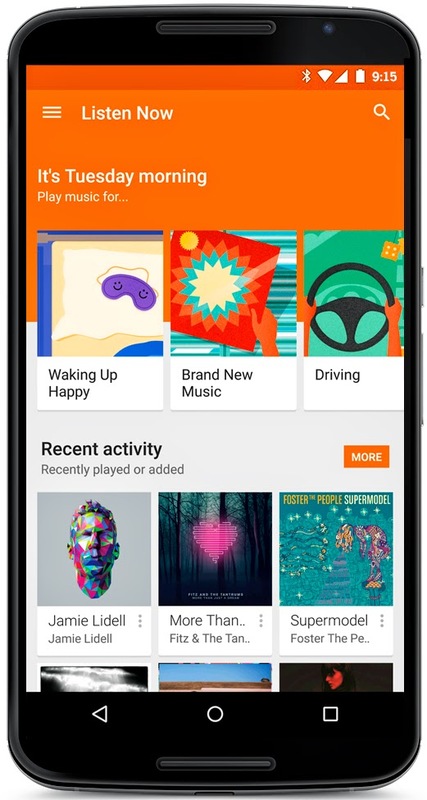 When can we expect Google play music store in India? i need an apk link !!! Update isn't showing up for Galaxy Tab Pro 8.4 or Galaxy S4 in Canada, but it has shown up on Nexus 5. Anyone successfully updated the app using a Samsung device? This would be great if it was available in the UK. the songs loaded from the computer are not displayed in alphabetical order. I've very much enjoyed using this new feature, but I have to ask: is there a way to find the previously listed categories? I was listening to the "Working Out" category while at the gym last night, but now I want to work out at home and it's replaced "Working Out" with "Dinner Party".... If it's trying to do some contextual thing to give me what it thinks I want, it's really not doing a very good job. Just give me an option to explore all the available categories and I'll be happy. 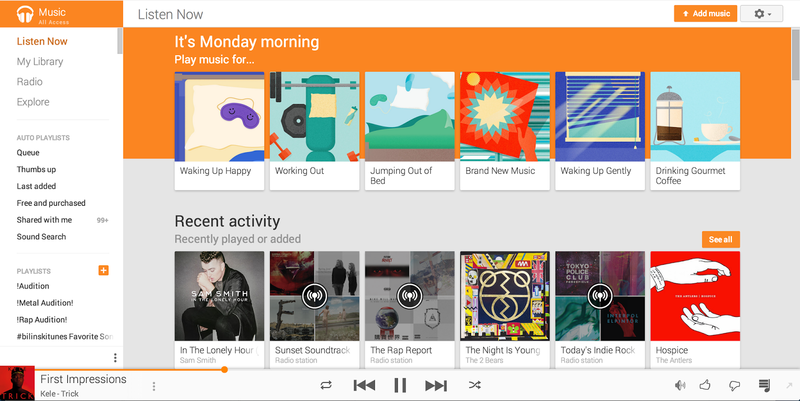 when are you launching google play music in india? when can i expect the 5.0 updates on my nexus 5 ??? can any one specify the date?? ?